Fulham look to bounce back from a hugely disappointing Derby Day defeat at Brentford against a struggling Birmingham City side at Craven Cottage. The Blues are yet to win away from home this season, rendering Saturday’s fixture a must-win for Slavisa’s side. Hello and welcome to another edition of before the whistle! Today I take a look into our next opponents at the Cottage, Birmingham City, and give an overview as to what we can expect from the Blues. Birmingham’s story last season was a bit like a fairytale. The tale included heroes, villains, and a (seemingly) happily ever after ending. Following a strong start, including an impressive win at the Cottage, Gary Rowett took the Blues to within a couple of points off the play-offs. It looked for all to see that Birmingham had turned a corner after a couple of tough seasons with Lee Clarke. However, in from stage left came some new directors to the board, and with this Rowett exited the club. Along with him went the team’s form, and they quickly fell down the table. After Gianfranco Zola’s tenure left the team in a dire situation, it took an ‘Arry ‘Oudini special to escape the drop to the third tier. Survival was confirmed on the final day, with an away win at Bristol City, ensuring it was Blackburn Rovers who were relegated instead. The inevitable transfer Wheelin’ and Dealin’ of a Redknapp summer arrived next. No fewer than 14 new players entered, and with this large change in personnel the team have really struggled to adapt. In particular, the new-look defence initially failed to restrict chances for the opposition, and the Blues quickly fell into the bottom 3. Since Steve Cotterill was appointed manager, the Blues have had a slight improvement in form, and generally have become harder to beat. As seen above, they have been conceding less chances, and their xG conceded per game has fallen. However, the real issue with Birmingham City this season is scoring goals. In fact, no team in the football league has a worst goals per game ratio this season. Their xG per game (0.9) is slightly higher than their goals per game (0.5), suggesting they are slightly unlucky not to have scored more. However, these are still really poor attacking figures, and is clearly an area they need to work on. Why is their attack poor? Firstly, take a look at how many shots come from outside the box (75 in total) – and how many have been scored (2). Less than 3% of these shots are resulting in goals. Birmingham clearly aren’t shy to take pop shots from deep, but with a really poor success rate. So, why don’t Fulham encourage them to do this? I’ve categorised the attacking passes, to help show trends of where the teams are passing the balls. Quantity of chances aside, there’s one fundamental way in which Wolves are creating stronger changes than Birmingham: Wolves create a tonne of chances through passes inside the opposition box. Birmingham are really struggling to get possession inside the opposition’s penalty area. Most of the attempts created are therefore from longer balls from deep, which the opposing defence have a lot more time to prepare against. Whilst for some teams this is a great tactic, for instance it works well for the tall strikeforce of Bolton, for Birmingham this approach clearly isn’t generating them good chances. This is something Fulham can use to their advantage. 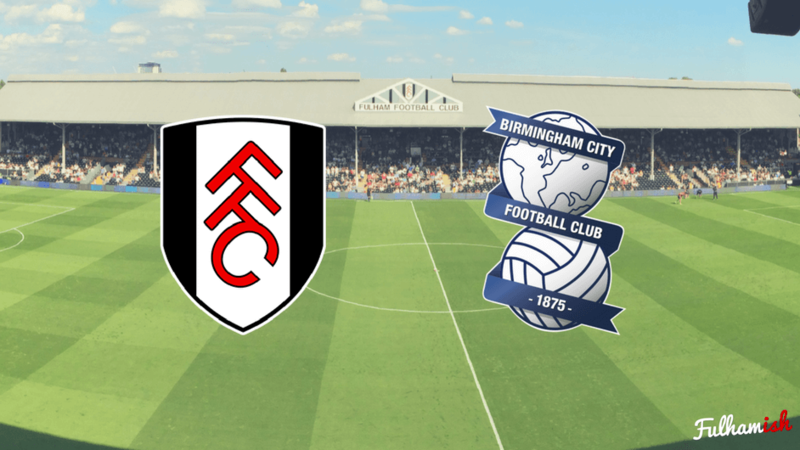 By keeping Birmingham out of the box, and forcing attacks from deep, Fulham can force the Blues into poor quality attempts and look to earn a consecutive home clean sheet. What should Slav look to do?